Cooling Fan is also the most important part of an CPU. It prevents Computer from getting hot. If you do overclock your CPU or GPU. Then, you need a Fan with liquid cooling solution. Sometimes cooling fan starts making noise. That nobody likes it, especially Gamer. And, if you’re PC’s Fan always works at full speed. Even, when you start your Computer. Then, you need a Fan Controller Software. Fan Speed Control Software will control your fan speed according to usage. Means, when Computer is working hard (While Gaming), then PC fan will work for superior cooling. 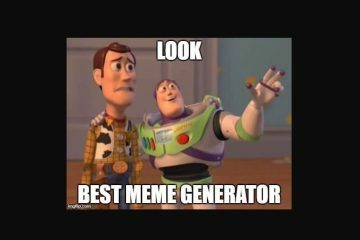 And, when you’re using PC just for accessing files and browsing. Then, PC fan will start working in silence. 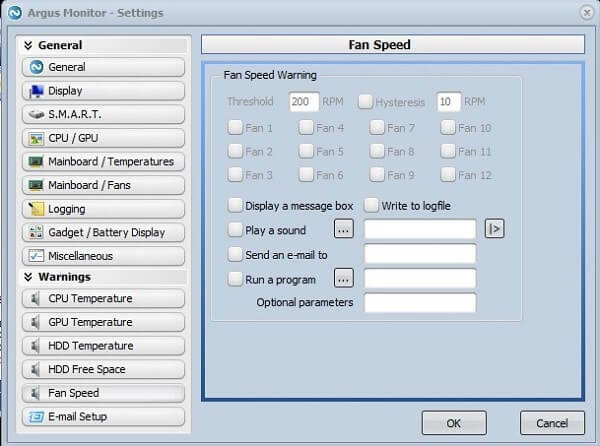 Overall, Fan control software will control Fan speed efficiently. Is you need a PC Fan Controller Software for Laptop?. If you’re using off-the-shelf Computer or Laptop. 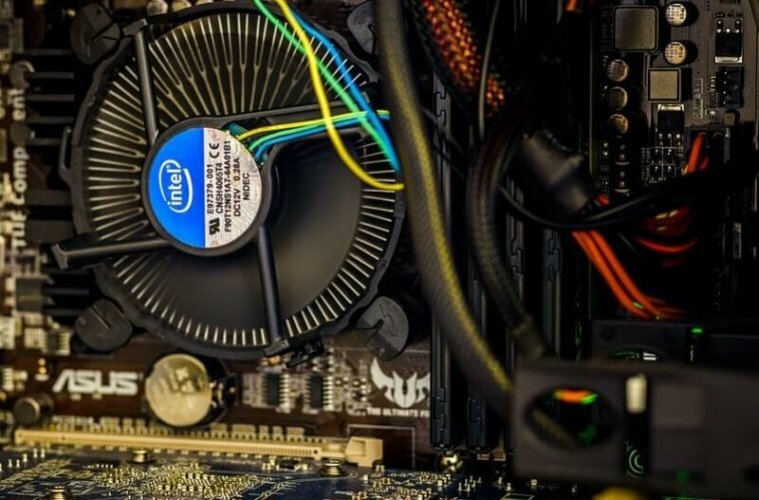 Then, chances are high that, your Computer automatically control fan speed. So, you don’t need it. Nowadays, Motherboard comes with software to control fan speed. But, if your laptop is still getting too hot, and fan is making loud noise. Then, there are certain things which you can do. Clean the Dust. – Open Computer or laptop and then try clean dust. Either use a soft brush or blow some air. Don’t use cloth with force. 😛 If it’s Computer, then unplug cooling fan and then clean it. Keep Laptop on Flat surface. So that the rubber feet of laptop, can allow air to pass under it. Check for unwanted running programs. – If you’re using Computer normally. And still cooling fan is working fast. Then, open task manager and check if any program is using high CPU and RAM. 1 Best Fan Controller Software. 1.3 Fan Control v1.2 for Mac OS. Apart from Fan Controller Software, Speed Fan is the best CPU temp monitor software. It does monitor temperature and voltage from various sources. Like, CPU, GPU. The Speed fan can access digital temperature sensor of Intel processor. By accessing S.M.A.R.T info the software does show hard disk temperatures. 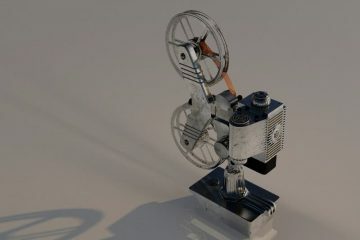 And, then can control fan speed according to it. Software comes with “Automatic Fan Speed” feature. You just need to enable it. If you don’t want to control fan manually. This program works with almost every system. But, in some laptop, it doesn’t even show fan information. So, you can’t able to control Fan speed. But, if it’s works in your Computer. Then, by configuring it right you can control Fan Speed according to temperature. You can also check fan noise by setting fan speed manually. If you set fan speed to 100, and, if it’s make noise. Then, you can set it to 60. And, it will work at maximum settings. Though, I suggest you to use automatic settings. 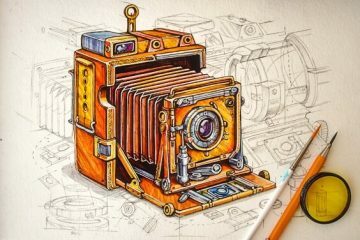 If you’re using a Notebook Computer (Laptop), then, this program is for you. It is an open-source fan controller software. 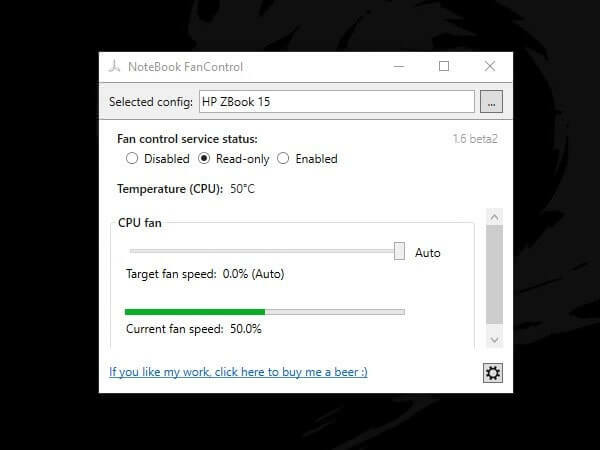 That allows to control notebook fan manually. You can set fan speed between 0 to 100. The software comes with some Pre-configured notebook settings. You just have to select your Notebook PC. Then, you can target fan speed to any settings. Although, some known notebook models are missing in the list. But, don’t worry, this software still in development mode. So, developer is trying hard to put all notebook Computer in the list. If you select auto mode after selecting notebook. Then, fan speed will work according to digital temperature sensor. The software also does shows CPU temperature. There are three mode in the Notebook Fan Control. Enabled, Disabled and Read Only. 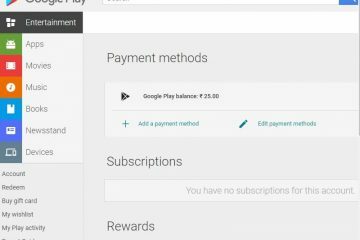 Enabled option will enable all settings made by you. Read only will show you current fan speed and CPU temp. And, disabled option will disable changes done by you. Software interface is quite basic, so, you will not face any trouble while using it. Fan Control v1.2 for Mac OS. 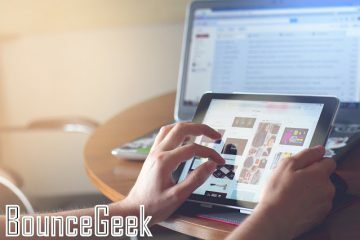 Are you using a MacBook PC?. And, seeking for a software to control the fan speed?. Then, you can try Fan Control open-source program by lobotomo. If you’re using an old model of MacBook, and it’s getting hot while daylong use. Then, this tool can help you to set fan speed according to CPU temperature. Though, this tool work only for first generation MacBook pro. And, in new model of MacBook you don’t even need this software. This software also modifies Apple’s default parameters. So, use this software at your own risk. Are you using a lenovo Thinkpad laptop. And, if it’s fan making noise. And, doesn’t work according to CPU temperature. Then, you have to use this TP Fan Controller Software. 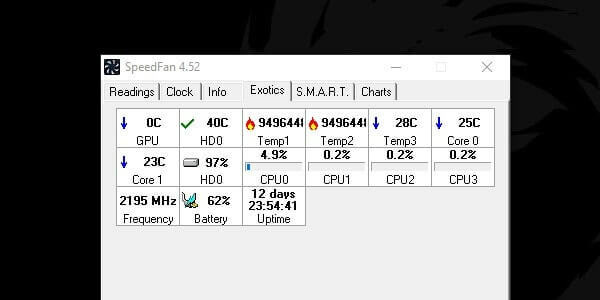 This software can monitor CPU and GPU temperature. And, then can set fan speed according to temp. This program is designed only for lenovo thinkpad. So, in other PC or laptop it will not work and will show error. Though, I don’t own a Thinkpad Laptop. So, I can’t able to tell you how it works. But, if you own one, then give it a try. It is another fan controller software and hardware temperature monitor program. That allows to control fan speed of MainBoard. But, it’s require a specific supported MainBoard chip. Else, it will not work for you. You can find fan speed control option in settings option. When you launch Argus monitor. It does show only temperature of CPU, GPU. The software comes with S.M.A.R.T. mode that shows all important HDD information. Software also does shows CPU information. It also shows CPU and GPU temperature graph. Software also does shows HDD and SDD benchmark. That helps to measure time and the transfer rate. Though, this software is not completely free according to official site. It comes with 30 days trial. The software also does shows battery information in the task bar. So, these are some programs which you can use to control fan speed. Although, the list is incomplete. I will add more software soon, if these not works for you. Well, nowadays computer comes with in-built fan controller. So, you don’t even need to try these software. But, it you’re using some overclocking software. Then, you need these programs to maximize fan speed. Previous ArticleBest CPU Temp Monitor – CPU Monitoring Software. Next ArticleWiFi doesn’t have a valid IP configuration. ERROR SOLVED.